This page contains our terms and conditions and statutory information concerning your rights. We act as agents, whether you require a replacement certificate, legalisation or consular services. 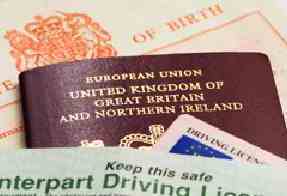 We are not affiliated with the Identity and Passport office, or any other government body. UK Official Services searches are based on the information provided by you and we cannot be responsible for any false or inaccurate information supplied, this may results in receipt of the wrong certificate and that UK Official Records will not be liable. Record searches from 2006 onwards are undetaken on microfiche and can exceed the timescales provided. If we are unable to identify the Birth, Marriage or Death certificate based on the information provided, we will retain a £15.00 search fee for the standard service and £25.00 search fee for the express service and refund the balance. When undertaking searches for Decree Absolutes, it is assumed that the Decree Absolute exists. In the event that no match has been found within the search years required, no refund will be given. We will do our upmost to assist you in determining the details provided. UK Official Services does not offer cancellation rights as the orders are directly processed into the relevant systems, the following directive relates to the exception to the right to cancel, leaving us unable to stop the system. "13 (1) (a) for the supply of services if the supplier has given proper information and the performance of the contract has begun with the consumer's agreement before the end of the cancellation period" We regret the inconvenience. In the unlikely event that we make a mistake, we will send you a corrected certificate as soon as you notify us of our mistake, you must do that within 7 days. We will use the information that you supply to us, to obtain a replacement certificate for yourself. Once your certificate has been created and dispatched. UK Official Records Ltd is a registered company under the UK Data Protection Act (1998). This means that we will always protect the information in our care, and never use your personal information for marketing purposes without asking you. Data Protection registration: Z9905268. Please note that we will only process your certificate once your payment has been processed, we attempt to process all orders within the specified time frame. Record searches from 2006 onwards are undetaken on microfiche and can exceed the timescales provided. Our normal despatch is via 1st or 2nd class post by Royal Mail we cannot be held responsible for any non receipt or damaged certificates. We highly recommend you place your order via Recorded Delivery for peace of mind. Despatch times quoted are given in good faith and whilst in around 99% of the ordered products are adhered to they do not form part of our contract the given time is based on working days and is deemed to commence on the next working day following receipt of order. Complaints can be made in writing to the address shown below or via email to: info@UKOfficialRecords.co.uk UK Official Services, 4200 Waterside Centre, Birmingham, B37 7YN Your Statutory rights are not affected by any of these terms and conditions. We reserve the right not to accept or fulfill your orders at any time without giving a reason. A normal day is a working day between Monday and Friday before 3:00pm, except Bank Holidays. We shall not be liable to you for any breach of the terms and conditions or any failure to provide or delay in providing our services through our site resulting from any event or circumstance beyond our reasonable control including breakdown of systems or network access, or loss/damaged and delay of postal deliveries by Royal Mail. We are not obliged to accept any request or to continue to perform any service. We reserve the right to reject any request or to discontinue the performance of our service without liability. Variation We reserve the right at any time without notice to revise the content of our website (including the services offered by us) and the terms and conditions. The current version of our terms and conditions will be posted on our site and by continuing to use our site you will signify that you agree to be bound by those terms and conditions as amended from time to time.